Italy has been hit hard by the Eurozone crisis in recent years, which is reflected in the fact that only one in four adults perceive there to be good business opportunities (placing it at 53rd out of 60 countries) and just 30.5% believe they have the capabilities to start a business (ranked 56). Both figures have fallen marginally since 2014. The country also has one of the highest rates for fear of business failure among GEM countries (ranked 59 out of 60), climbing to 57.5% of adults in 2015 from 49% the previous year. 8.2% of adults plan to start a business in the next three years – the lowest it has been since 2012. Five percent of entrepreneurs expect to hire six or more employees in the next five years. 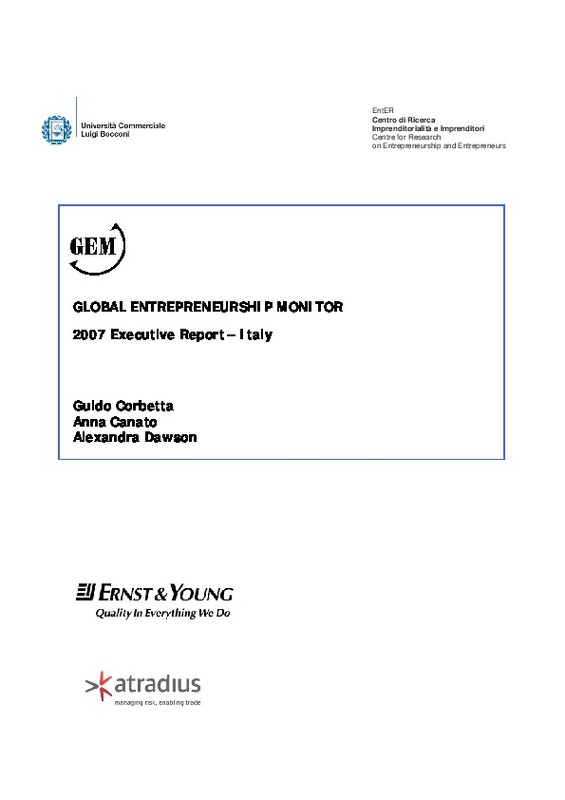 Italy ranks lowest of all the big European countries (and some emerging economies) across almost all aspects of the entrepreneurial ecosystem, with government policies and programmes and entrepreneurial education singled out as particularly lacking. While Italy’s TEA rate has improved since the economic downturn in 2008, when it was measured at 5%, SME value-add in 2014 was still about 10% lower than in 2008.Value-add is expected to fall by a further two percent and employment to drop by another four percent between 2014 and 2016. The Italia Start-up Visa and Italia Start-up Hub: To attract innovative start-ups to Italy, the government in June 2014 introduced a special centralised fast-track mechanism for granting entry visas to self-employed persons and to those who intend to set up an innovative start-up . The Start-up hub was launched in December 2014, to assist non-EU citizens who already have a valid residence permit (such as a study visa) and who want to remain in the country after expiry of the permit to establish an innovative start-up. It allows applicants to convert a residence permit to a “self-employment start-up permit” without having to leave Italy. The Investment Compact Decree-Law, which was passed into law in March 2015, allows entrepreneurs to establish innovative start-ups online and without the use external professionals, with lower costs and the use of digitally-signed articles of incorporation. Supporting venture capital investments: To encourage more investment in high-growth companies, the then Minister of Economic Development, Federica Guidi, on 29 January 2015 passed a decree to allocate a share of the resources in the Fund for Sustainable Growth of €50 million ($55m) to the Italia Venture I fund which is managed by Invitalia Ventures. The fund co-invests with other funds in high-growth companies. Zero-interest loans: Invitalia’s Smart&Start Italia scheme was launched in 2015 to grant zero-interest loans to start-ups. Research and development (R&D) tax credits: With the Stability Law of 2015, the government introduced significant tax benefits for companies that co-operate with research centres, laboratories and start-ups to conduct research and development (R&D). Guarantee finance: Italy’s Guarantee Fund for SMEs (Fondo di Garanzia), which has been in operation since 2000, also assists start-ups by guaranteeing 80% of a bank loan. Tax incentives: Article 29 of Growth Decree 2.0 allows individuals who invest in innovative start-ups to deduct 19% of the amount invested from their taxable income, up to a maximum amount of €500,000. Companies can deduct 20% of the amount invested in share capital from their taxable income, subject to a maximum of €1.8 million. The deduction rate for persons increases to 25% and that for companies increases to 27% for investments in those innovative start-ups defined as having social goals, or those that exclusively develop and market innovative high technology products or services for the energy sector. The number of innovative start-ups has grown from 4 206 as of 30 June 2015 to 5 818 as of 13 June 2016 (as registered in the special section of the Companies Register of the Chamber of Commerce). 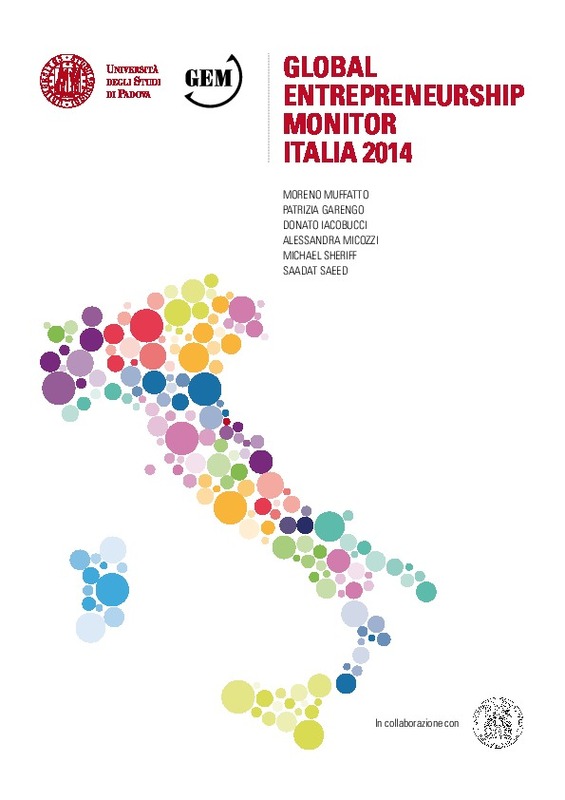 As of 30 June 2015, innovative start-ups employed 20 800 workers according to data from Italy’s Chamber of Commerce. This was about 2 900 more than in the previous quarter and over 5 800 more when compared to late 2014. Amongst the innovative start-ups, a significant number (782) of companies declared that they possess a means of protecting intellectual property. When it comes to accessing finance, 461 start-ups were able to attract bank loans using the simplified and free procedure provided by the Guarantee Fund for SMEs, for a total amount of €198 million (at an average of €306 000 per loan). When it comes to the tax incentives for investments in start-up equity, the results of the first year of the incentive in 2013 reveal that 844 taxpayers (individuals and companies), directly or indirectly, invested resources amounting to €28.2 million. In addition to this, in the first wave of Smart&Start Italia subsidies (between 16 February 2015 and 29 July 2015) 131 innovative start-ups received €65.8 million in grant funding. It is expected that the start-ups will trigger investments exceeding €63.2 million, of which nearly 75% will be for companies located in the Centre-North of the country. However, less successful so far has been the Italia Start-up Visa and Italia Start-up Hub. The latest ministry reports show that 61 applications were made for the visa up until the end of 2015, of which 40 were successful (11 were rejected as the business plan was too weak and six were considered inadmissible). In addition, five applications were made for the start-up hub regime – all of which were granted.